W. B. Saul High School of Agricultural Sciences is located in the upper Roxborough section of Philadelphia on the rolling hills of the Wissahickon Valley bordering Fairmount Park. The multi-building complex is located on a 130-acre campus. On one side of Henry Avenue are Academic, Agricultural, Greenhouses, Physical Education/ Health, and Small Animal Laboratory buildings bordered by an arboretum and athletic fields. On the opposite side of Henry Avenue is the working farm which houses our poultry, dairy, swine, sheep, horses and our Meat Science program. These buildings are bordered by the school’s golf course, nursery, field crops and pasture area for the livestock. We believe in the future of agriculture and in developing an appreciation of the agricultural sciences along with developing a responsibility for improving, preserving and managing the earth’s natural resources. We are committed to prepare students to become active and competent citizens who work and/or study within their chosen field of interest. 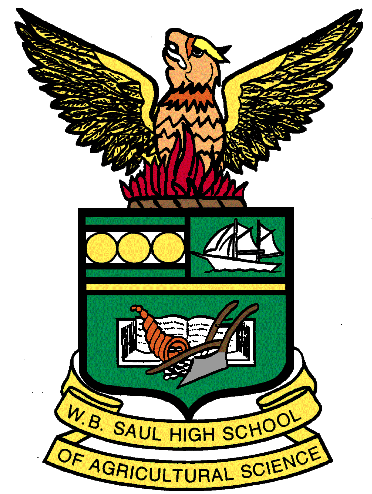 The Mission of the Walter Biddle Saul High School of Agricultural Sciences, a diverse learning community, is to develop in students an understanding of and appreciation for the career and leadership opportunities that are available to them in the many fields of agriculture. It is also our commitment to cultivate each student’s individual abilities to prepare him or her for a lifetime of productive academic, vocational, and civic endeavors.